Android Studio is an IDE for creating Android apps. Developers use the IDE to develop awesome Android applications. 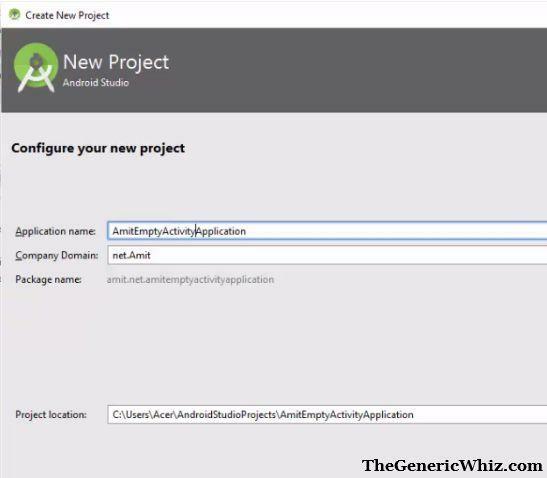 Every Android developer may have come across with two activities: Blank and Empty Activity, while starting a new project in Android Studio. A question may come in mind of many beginners that what is the usage of both the activities and which should be used when. While choosing Blank Activity, you will get an option to use a Fragment. Android Studio will create two layout files for the activity i.e. activity xml, content xml; if you choose, Fragment, and then another activity also get added for Fragment. After adding the project, you can see some bulky code in the layout activity that includes code for Coordinator Layout, Floating Action Button, etc. This may look confusing. While choosing Empty Activity, you get an option to select whether or not you want Android Studio to generate a layout file for the activity. If the layout file option selected, then you can see Android Studio adds one layout file. This is difference in comparison with Blank Activity, since two layout files gets created in case of Blank Activity. Also, selecting “Empty Activity” won’t even provide you with a menu resource file. But, the layout files do not consist of lengthy code for Coordinator Layout, Floating Action Button, etc. On clicking next, you can see the menu and fragment options are visible.